Is 2019 your year to hit some of the best golf courses in British Columbia? If so, then we highly recommend you consider one of these bucket-list worthy BC golf trips, where you will play golf, stay in world-class accommodations, and experience some of Vancouver Island’s top attractions. Posted June 19th, 2018 by golfvi & filed under Golf Vacations, Parksville Qualicum Beach & Nanaimo Golf, Tales from the Trail, Vancouver Island Golf Trail Blog. Planning a golf vacation to Vancouver Island and looking for some insider tips and hot spots for a terrific golf getaway? The Parksville-Qualicum Beach area offers the perfect location to escape to “island time” and truly relax on your next golf vacation. A golf vacation should be easy, relaxing, and stress-free. To help with the process, we’ve assembled 5 tips to ensure you have a great golf trip. 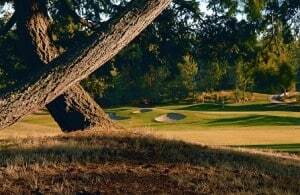 Posted March 19th, 2018 by golfvi & filed under Campbell River & Courtenay Golf, Tales from the Trail, Victoria Golf. Spring golf is in full swing on Vancouver Island. And we have proof! Below you’ll find photos collected this past week, March 11-18th, 2018 from golf courses along the Vancouver Island Golf Trail. Yes – they are that green!! You can’t beat the view at Crown Isle Golf Resort. The golf course looks pretty darn good too! Can you say postcard? This glorious scene can be found at Arbutus Ridge Golf Club. Posted May 30th, 2017 by golfvi & filed under Golf Courses, Tales from the Trail, Vancouver Island Golf Trail Blog. If you think the grass is always greener on the other side – specifically the side where your favourite golf course lies – you’d be right. In this instance at least, anyway. The grass on the golf course IS always greener, and for once it’s got nothing to do with perspective, envy or emerald-coloured glasses, and everything to do with hard work, dedication and a passion for golf course maintenance. Posted June 30th, 2016 by golfvi & filed under Golf Courses, Golf Vacations, Parksville Qualicum Beach & Nanaimo Golf, Tales from the Trail, Vancouver Island Golf Trail Blog. Edmonton Sun’s resident golf fanatic Kevin Berkenbosch – aka Bogeyman – recently visited Parksville for a whistle stop Vancouver Island golf trip. What he found was a golfing experience second to none. As he puts it: “Parksville on Vancouver Island offers one of the most peaceful, relaxing and enjoyable golf holidays imaginable. Vancouver Island Golf Vacation: Nothing Better! Posted June 8th, 2016 by golfvi & filed under Golf Courses, Golf News, Golf Vacations, Tales from the Trail, Vancouver Island Golf Trail Blog. Golf Vacations Magazine Associate Editor Terry Ross recently took a trip to Vancouver Island, on the trail of hot golfing vacations. Seems he found what he was looking for. In the resulting cover story and 7-page feature spread, Terry tells a story of unparalleled golf and relaxation. 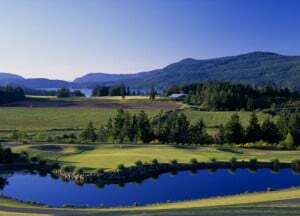 Posted January 14th, 2016 by golfvi & filed under Golf Courses, Golf Vacations, Vancouver Island Golf Trail Blog. Never fear; Spring is near. Well, on Vancouver Island anyway. Did you know that the average temperature on the Island come February hovers around 9°C? Even better, in March it’s more like 12°C! (Most days.) Head east to Alberta and Ontario, and you’re looking at around 5. (Maybe. On a really, really good day.) As for the Prairies… Well, the less said the better. Posted September 10th, 2015 by golfvi & filed under Campbell River & Courtenay Golf, Cowichan Valley Golf, Golf Courses, Golf Vacations, Victoria Golf. Playing golf oceanside may come with its share of non-recognized hazards: ocean breezes and cool mists. But this pales into complete insignificance when you consider the pros of golf courses with ocean views (or near enough): those views obviously, seafood bonanzas, plenty of salty-aired adventure and all-season golf. Posted December 22nd, 2012 by golfvi & filed under Golf Courses, Tales from the Trail, Vancouver Island Golf Trail Blog, Victoria Golf. Last course on the trail and I’m up in wine country again just south of Duncan at Cowichan Golf and Country Club. I’ve brought my 16 year-old and his buddy along. They’ve been practising at the driving range and at a short apr-3 course near our house, but it’s one of their first ventures out onto a full-length course. Posted December 3rd, 2012 by golfvi & filed under Golf Courses, Tales from the Trail, Vancouver Island Golf Trail Blog, Victoria Golf. I’ve heard of the wineries in this part of the Island and – I’ll admit to looking it up – there are 9 of them within easy driving distance from this golf course, but I haven’t heard that much about the golf courses. That’s about to change with Arbutus Ridge, about 40 minutes drive up over the Malahat from downtown Victoria. Fairwinds – beautiful but deceptive? Posted October 29th, 2012 by golfvi & filed under Golf Courses, Parksville Qualicum Beach & Nanaimo Golf, Tales from the Trail, Vancouver Island Golf Trail Blog. Sunday morning and the last course of the weekend is Fairwinds. Up early this morning and arriving at the course with not too much time to spare, but that’s OK. Hopefully, the swing is still locked in from the previous two days and shouldn’t take long to warm up. We’re playing off the white tees at 5700 yards. One phone call sets up golf, hotels, and transportation. It's one stop shopping, and with 24 hour direct phone line help available, it makes Vancouver Island Golf Vacations unbeatable.